After sealing the three-match ODI series in the first two matches itself, Mithali Raj and Co. succumbed to a two-wicket loss in the final ODI in Wankhede, thanks to Danielle Wyatt’s fifty. The Indian eves will now take on England in a three-match T20I series, which will all be held in Guwahati. Brief score :India Women 205/8 (Smriti Mandhana 66, Punam Raut 56; Katherine Brunt 5/28, Georgina Elwiss 1/29) lost to England Women 208/8 (Danielle Wyatt 56, Heather Knight 47; Jhulan Goswami 3/41, Shikha Pandey 2/34) by 2 wickets. The complacency ahead of the inconsequential match was pretty evident from the begging when India came on to bat. Jemimah Rodrigues was sent back to the pavilion on the very second ball of the first innings by Katherine Brunt. 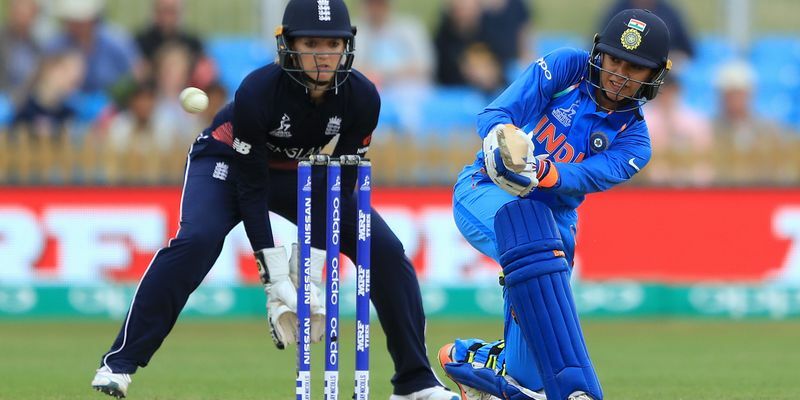 Smriti Mandhana and Punam Raut steadied the ship following that as they scored 66 and 56 runs respectively, with India’s second wicket falling at the score of 129. However, once Mandhana was dismissed Raut, Mithali Raj, and Mona Mesharam fell one after another with India reduced to 140-5 in the 33rd over. India desperately needed a savior and it came in the form of Deepti Sharma. While Taniya Bhatia and Jhulan Goswami failed to sustain at the other end, Shikha Pandey showed resilience with a late knock of 26 alongside to eventually take India’s score to 205. 206 was never a stiff target for England and they could afford to take some liberties here and there to reach it. Goswami drew the first blood of the second innings in the fifth over in the form of Amy Ellen Jones, and England experienced a calamity of calamitous proportion with the batting order reduced to 49-5 in the 15th over. The visitors were looking at yet another defeat but skipper Heather Knight got a late support by Wyatt. When Knight was eventually dismissed after a significant knock of 47 runs, England were 118-6 with no hope in sight . However, Wyatt was then supported by Georgia Elwiss, who remained unbeaten at 53 to take the team home with two wickets remaining.